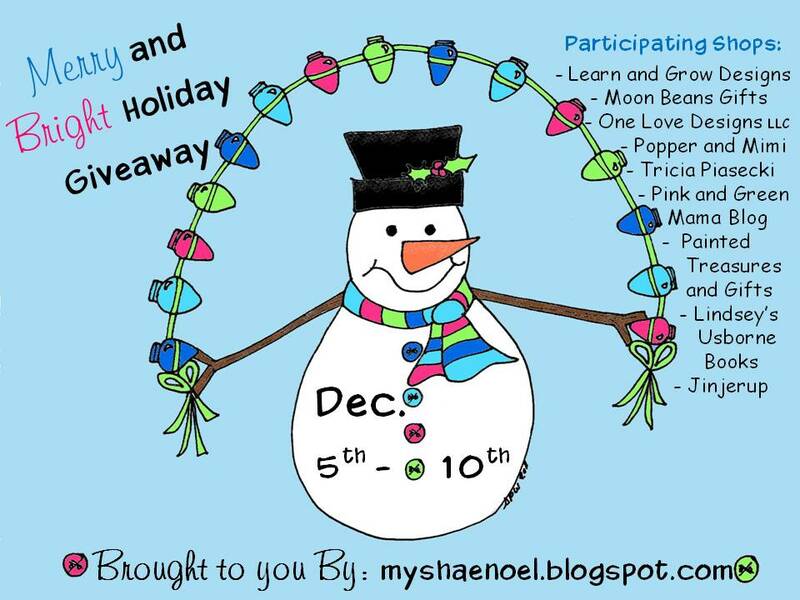 Today's eighth Merry and Bright Holiday Giveaway is brought to you by Pink and Green Mama's Blog. MaryLea is the talented artist and mother behind Pink and Green Mama. If you haven't ever visited Pink and Green Mama, you need to. MaryLea is one of the most creative Mom bloggers I know and she has passed on her creativity to her children. The art projects they do around the home, outdoors, etc. are amazing. 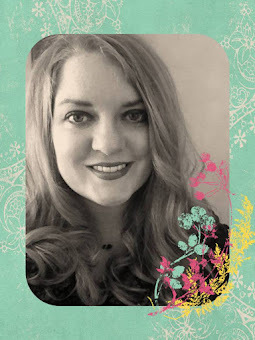 MaryLea herself is a talented artist with an educational background, and she has created wonderful e-books with art and craft lesson plans. 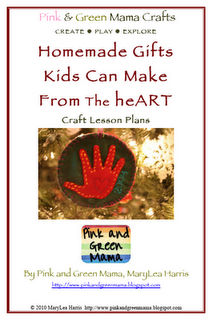 Today you have the opportunity of winning Pink and Green Mama's creative "Homemade Gifts Kids Can Make From the HeART" Lesson Plan PDFs". a compilation of some of Pink and Green Mama's best homemade gift lesson plans with 3 brand new (never published on MaryLea's blog) Homemade Gift Idea Lessons. All 15 projects featured in this e-Book are gifts Mary Lea and her children have made and shared with family and friends. These projects are not just for Christmas. Several of the projects work for other special occasions like birthdays and anniversaries, etc. This 53-page Homemade Gifts Kids Can Make e-Book is best suited for elementary-aged children (ages 5-11) but can also be used with preschoolers (ages 3-4). This giveaway is open to U.S. Residents and International Readers. Winner will be determined by random.org, random number generator. 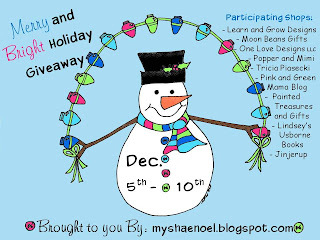 Contest runs until Sat., Dec. 10th at midnight (MST), and winners will be announced Mon., Dec. 12, 2011. To participate in this giveaway you must do the first mandatory step. 1. Mandatory Entry #1 - Leave a comment on this post about what you like about the item being given away or why you would be excited to win it. Here are more "optional entries" to enter this giveaway. Make sure to leave a separate comment for each optional entry that you have completed. 1. Optional Entry #1 - Go to Pink and Green Mama's Blog and become a follower through google friend connect. 2. Optional Entry #2 - Blog, Tweet, or do a Facebook Post about this giveaway and let me know the link. 4. Optional Entry #4 - "Like" My Shae Noel on Facebook. 5. Optional Entry #5 - Follow this blog (myshaenoel.blogspot.com) through google friend connect. Good luck and don't forget to enter all of the rest of the Merry and Bright Giveaways by CLICKING HERE. 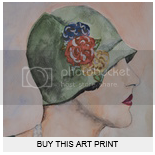 You have until Sat., Dec. 10th! I love it that it has the supply list of things needed right there! I follow Pink and Green mama via GFC. I'm all about homemade gifts. And so nice to have photo instructions and a supply list. Love Pink and Green Mama's blog and all the artsy ideas they share!! Would love to win this ebook. I like your blog on facebook too. have been following Pink and green mama in facebook for long time now. have followed pink and green mama via GFC! I love making homemade gifts and am always looking for great ideas. This book looks like so much fun! I follow Pink and Green Mama on FB.